Happy New Year! And in just a couple of weeks, Happy Chinese New Year! 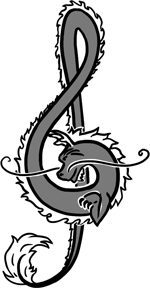 This year will the the year of the dragon which will give plenty of scope for exciting and colourful activities. A quick search on YouTube will come up with plenty of dragon dance videos. Here are two short ones for starters. The second dance is accompanied just by cymbals. This entry was posted in Composition, Listening Music, Songs, The Jungle and tagged Chinese New Year, composition, dragons, songs. Bookmark the permalink.